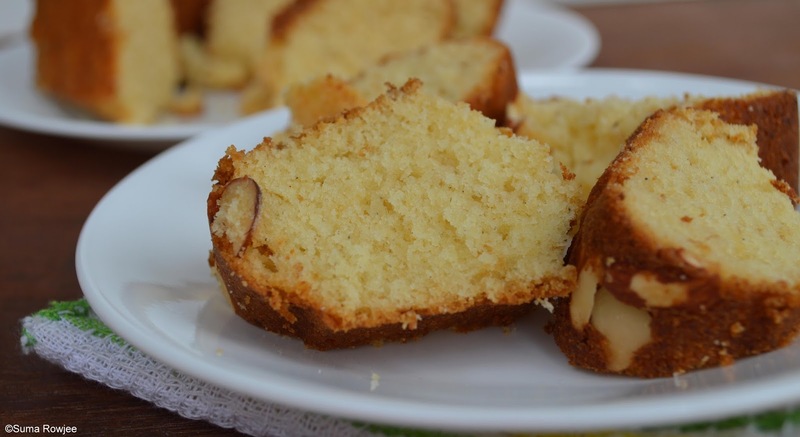 Cakes & More: Mawa Cake & Bolinhas De Coco - Daring Bakers In India! 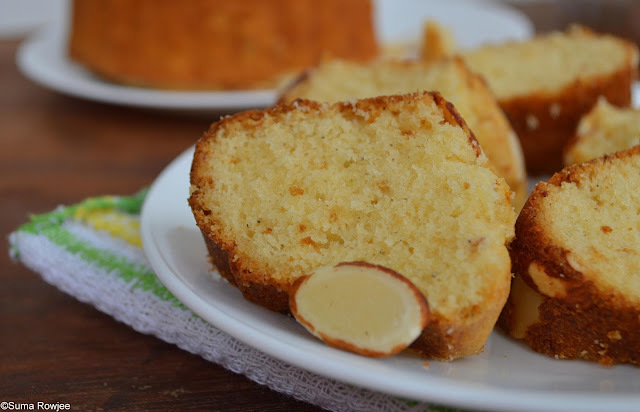 Mawa Cake & Bolinhas De Coco - Daring Bakers In India! 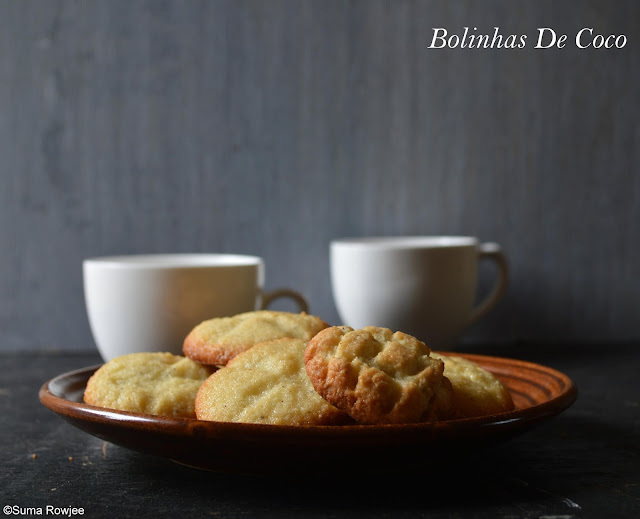 This month's Daring Bakers challenge takes us to Goa for some semolina and coconut cookies, Bolinhas de coco and to the Irani cafés in India for some mawa cake! Rich, milky, laced with cardamom, topped with cashew nuts or even almonds, mawa cakes are a trademark of the Irani cafés. The texture is slightly dense, reminiscent of a pound cake says Aparna. She challenged us to make mawa cake with home made mawa. Basundi or rabdi, which I used to make often earlier, is just a couple of steps shy of mawa or khoya, but surprisingly I have not made it at home so far. In case you live somewhere where you do not have easy access to it, take heart, its easy to make, but needs patience. I have made Mawa cakes earlier, though lighter textured, less rich ones. But I did wanted to bake this one too, just for the fun of making mawa at home and not to miss this challenge hosted by Aparna. It was fun indeed! I have halved the recipe and baked the cake in an 3 cup capacity bundt pan, remaining batter in 2 small muffin cups. To bake the cake : Pre-heat your oven to moderate 180°C/350°F. 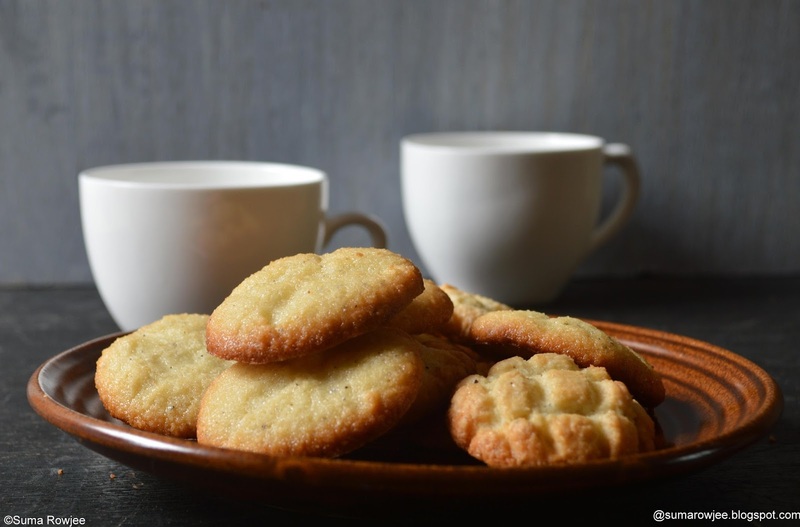 The notable thing about these cookies are they are made entirely out of semolina and fresh coconut (no flour). These cookies are a little crisp, crunchy on the outside and kind of cakey within when freshly baked. Cardamom and coconut make a fab pairing and I loved the flavor of the cookies. Am sure they would have been better texture-wise if I had not goofed up with the dough. 6. The next day, take the dough out of the fridge and let it come to room temperature. ( I did the mistake of warming the mixture slightly to get it to room temperature faster as I had to go out. I should have just let it come to room temperature by itself, had to refrigerate the dough again to firm it up, but it did not come back to the same consistency). Separate the yolks from the egg whites. Lightly beat the yolks with a fork to break them and add to the dough. Also add the powdered cardamom and mix well with a wooden spoon or fork. 2. Place the shaped dough on the baking trays leaving a little space between them. Bake in a preheated moderate oven for about 20 to 25 minutes until they’re a golden brown and done. Mine took a little longer probably because the dough was a bit loose. Let them cool on the sheets for about 5 minutes and then transfer to racks to cool completely. Thank you for the lovely challenge Aparna, it was fun doing this! Cake looks so soft and tempting. Loved the look of it. Excellent preparation. Wow,this one's truly a DB with an Indian touch.Proud of Aparna!Though I haven't tasted a Mava cake yet,have heard so much about it.Since I am not a Db-er,I might take the easy way out using store bought Mava..lol:)Absolutely love the texture of the cake! You have mentioned 1 litre of milk to make maza & also 3/4 cup (180 ml) packed crumbled mawa (which is not mentioned in the recipe). Did you mean to use either of them? Or is there a step missing? I once made mawa cake with store bought mawa and it was little dry. may be the mawa was solid. will try making it with homemade mawa. Lovely choices, am in love with both the cake and cookies, especially that mawa cake is just fabulous. Your cake and cookies are beautiful! Great job on the challenge! Your mawa cake looks so soft, far more than my cake.